In the UK, three legislative regimes impose a duty to carry out a fire risk assessment. In England and Wales, the duties are imposed on the Responsible Person who, in a workplace, is the employer and in premises that are not a workplace is the person having control of the premises. The duty can also be imposed on other persons having control of the premises, such as managing agents. In Scotland and Northern Ireland, the term 'responsible person' is not used but, again, the duty will fall on the employer and/or certain other persons having control of the premises. 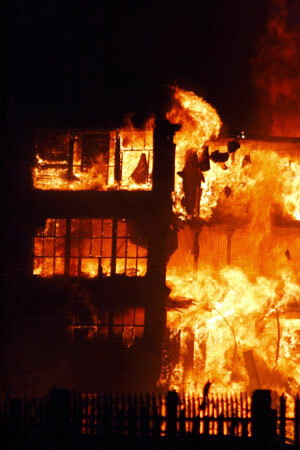 If, as a result of a failure to properly carry out a fire risk assessment, an occupant of the building or someone in the immediate vicinity is put at risk of death or serious injury in case of fire, an offence is committed which can lead to a heavy fine or, in serious cases, imprisonment. As the leading professional body in the field of fire, the IFE was the first UK organisation to establish a register and it remains the largest scheme presently in the UK. The IFE is also a member of the Fire Risk Assessment Competency Council which has published national competency criteria with which all applicants to schemes are expected to be familiar. View London Fire Brigade's tips for choosing a competent Fire Risk Assessor. In the UK, members and non-members of the IFE may apply to the IFE’s Fire Risk Assessors’ Register. All successful applicants must demonstrate to a Professional Review Panel that they have suitable education, training and experience in the principles of fire safety and fire risk assessment and this involves submitting examples of their work for evaluation. As a guide for applicants, the IFE publishes a list of Approved Fire Risk Assessor Training Courses . However, it is not essential to have been on one of the courses listed, as there are alternative routes to entry. Please refer to Fire Risk Assessor Application Guidance for details. Fees are payable annually and CPD must be maintained. Successful applicants may also make use of the IFE Fire Risk Assessor logo. If you are a current member of the IFE, reduced registration fees are available. Please contact frr@ife.org.uk for further details. Please note that this is currently a UK based scheme. Fire Risk Auditors are employed by enforcing authorities. They enforce legislation but do not carry out fire risk assessments. The IFE has established competency standards against which Fire Risk Auditors can be assessed also and many UK enforcing authorities now have IFE registration in place for their inspecting officers.